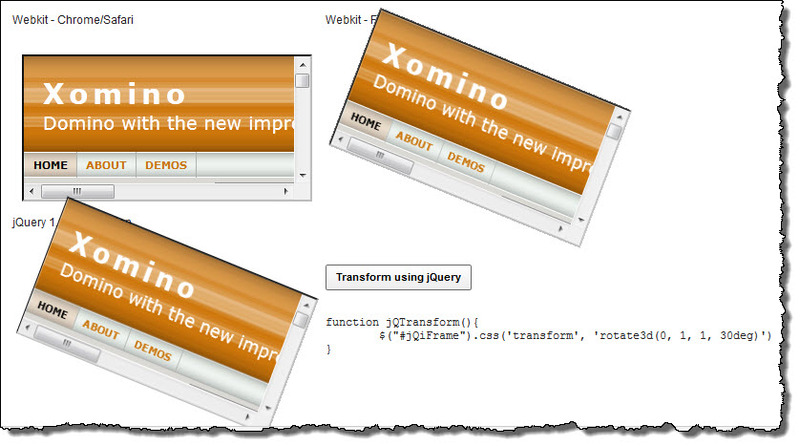 In this article I will demonstrate a neat new capability within jQuery 1.8 (currently in beta2) which applies vendor specific CSS3 transformations without having to call out each one individually. The W3C specification for CSS3 allows for vendor specific style extensions which is a good thing and a bad thing. When attempting to do a transform for example it means increasing the size of your style sheet to try and accommodate all the possibilities. 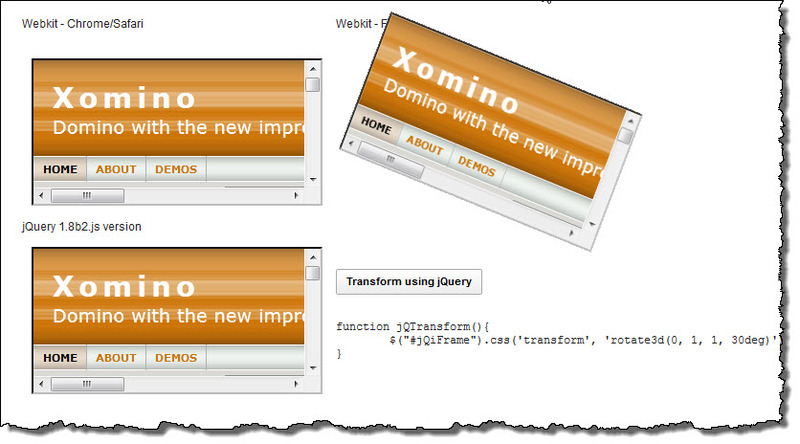 On the demo site I have demonstrated a simple implementation of it using the following jQuery css method call. 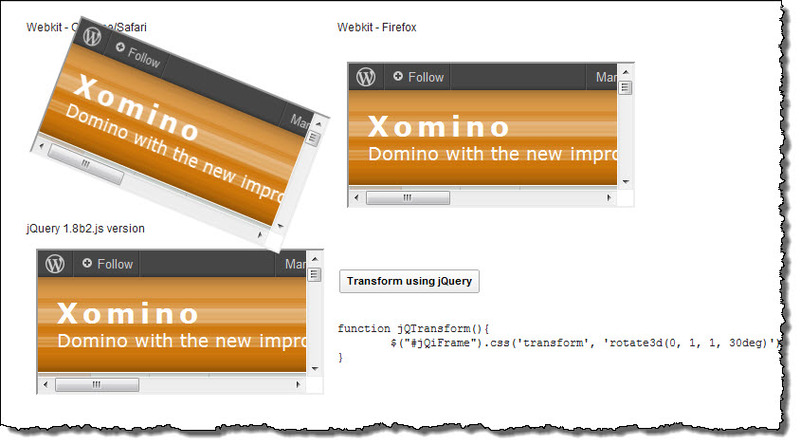 This is a simple demonstration but once again shows why browser compatibility continues to be a problem and how jQuery helps the developer correct for that.